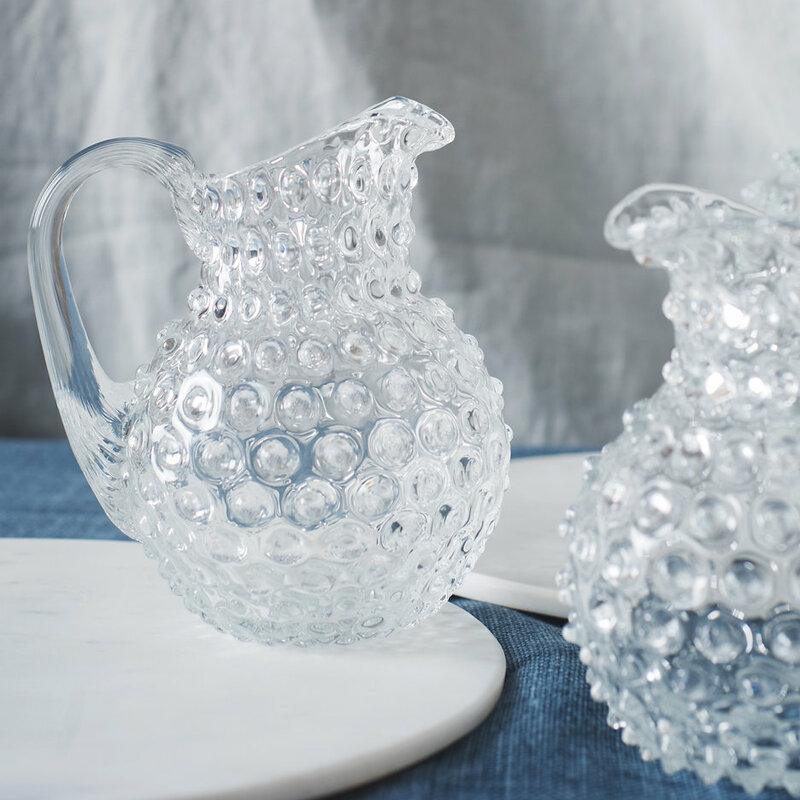 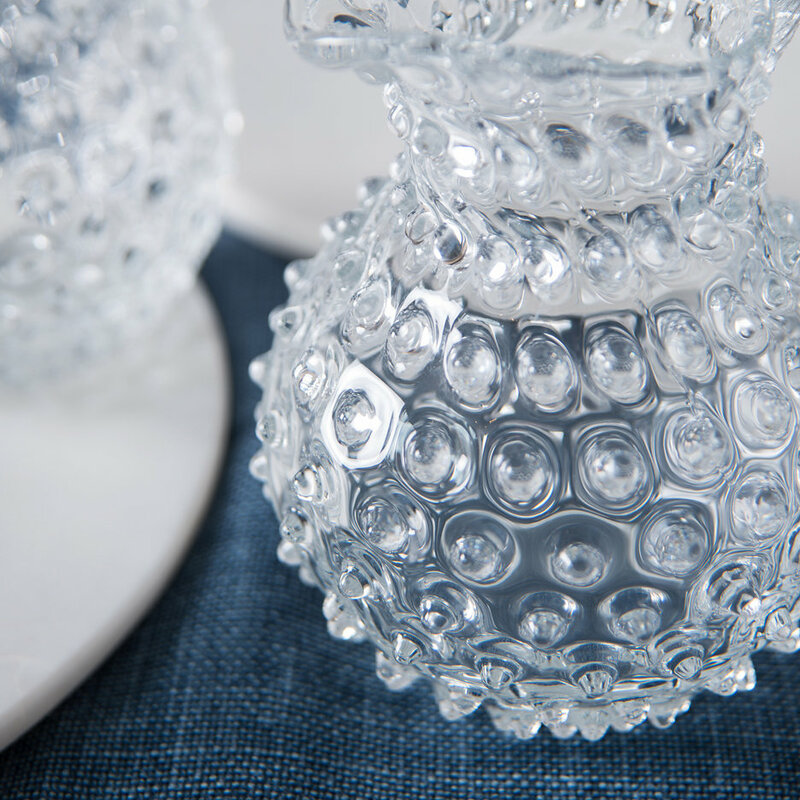 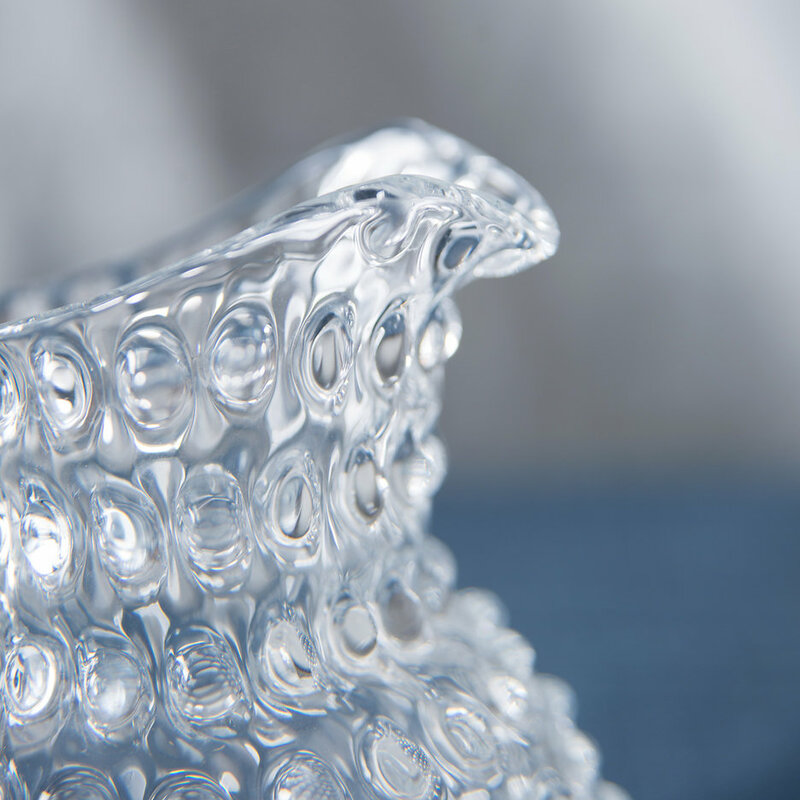 These simply gorgeous, highly decorative clear glass jugs have an overall hobnail texture which reflects the light in a beautiful way. 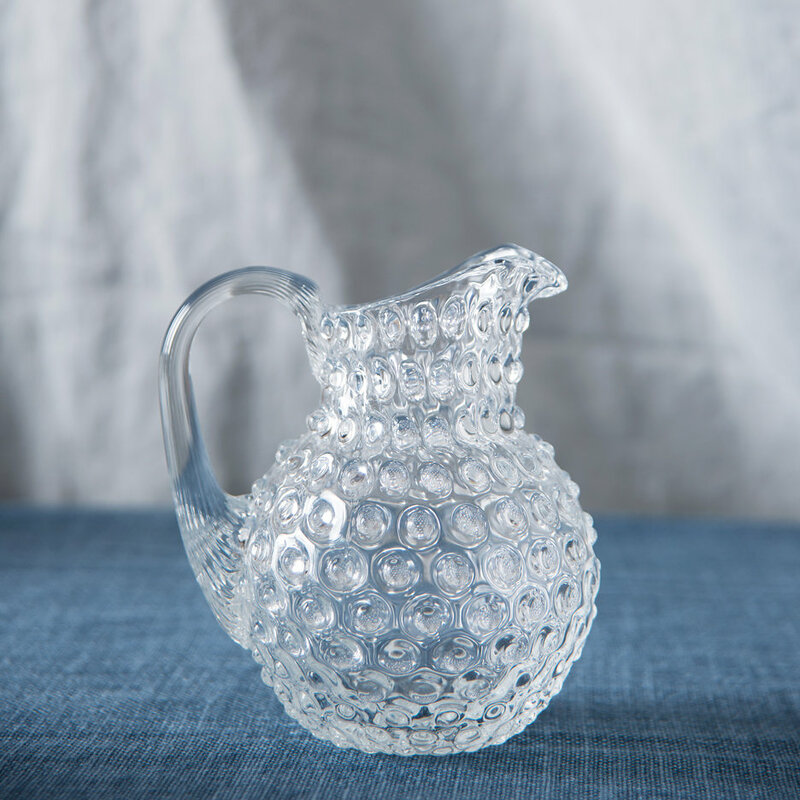 The perfect size for serving cream or raspberry coulis, the small jug also looks delightful holding flowers. 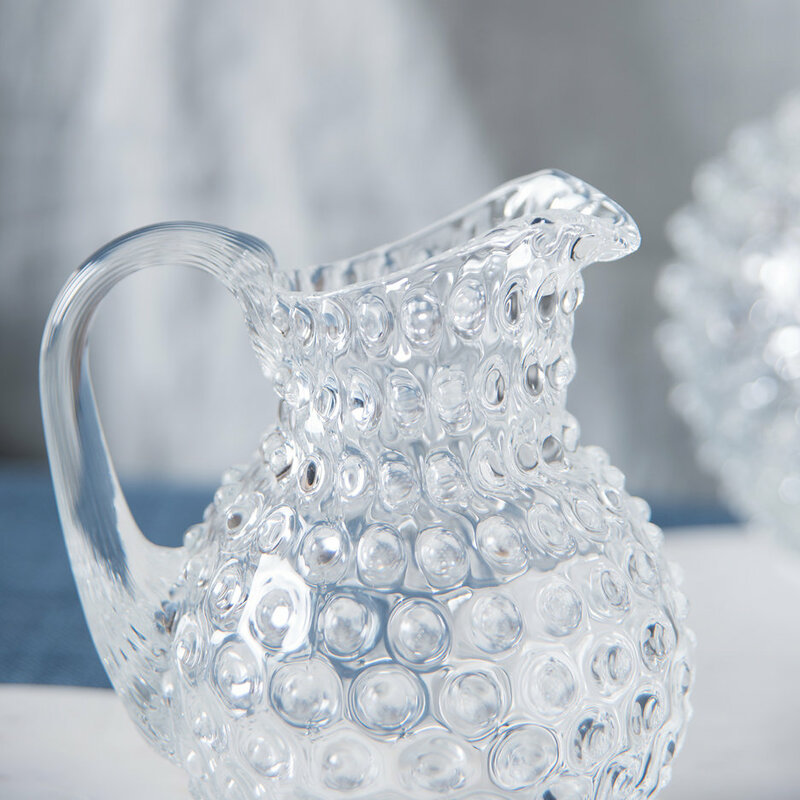 These jugs really are a very special treat.